Q 1: Cost price = $2500 and selling price = $3000, what is the profit percentage? 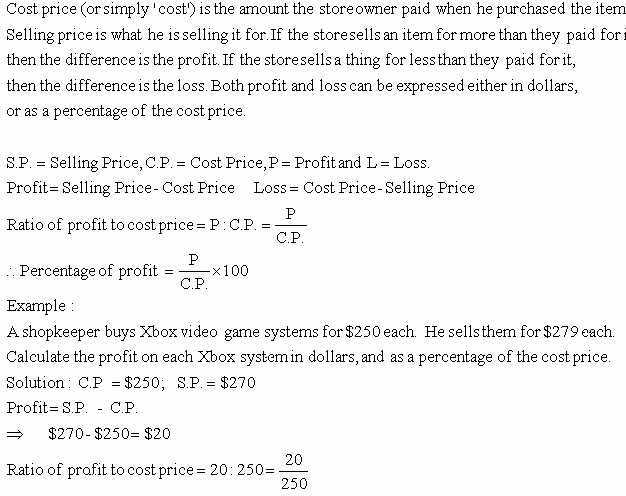 Q 2: Cost price = $290 and selling price = $300, what is the profit percentage? Q 3: Cost price = $3000 and selling price = $3300, what is the profit percentage? Q 4: Cost price = $3500 and selling price = $3700, what is the profit percentage? Q 5: Cost price = $3600 and selling price = $4000, what is the profit percentage? Q 6: Cost price = $4000 and selling price = $4500, what is the profit percentage? Q 7: Cost price = $5000 and selling price = $6000, what is the profit percentage? Q 8: Cost price = $5500 and selling price = $7000, what is the profit percentage?